We have in store for our customers jackets & patches that are manufactured using high quality material. We manufacture jackets for both men & women. These jackets are available with us at very competitive prices. 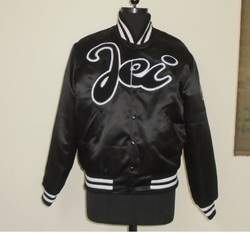 We Caliber India are one of the India's leading Manufacture, Supplier & Exporter of Black Satin Jackets. We provide these jackets as per the latest trends and affordable prices.